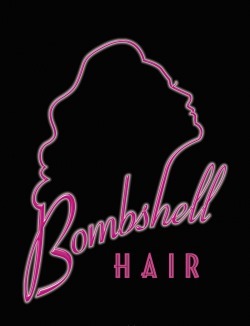 Bombshell Hair Local owner-operated businesses make strong contributions to the local economy, and provide great service to people in the community. In this spotlight, we visit with Beth Allen, the "colorful" owner of the Bombshell Hair salon in downtown Plymouth. Bombshell Hair, a business started in downtown Plymouth in 2004, has thrived due to the talents and hard work of its proprietor, Beth Allen, who applies 25 years' experience and a passion for creating great hair styles and brilliant hair color to achieve a one of a kind look for her many satisfied clients. .iTown: We like the name of your salon - how did you come up with it? When I was growing up I loved to watch the old black and white movies with stars like Marilyn Monroe, Rita Hayworth, Grace Kelly, and Elizabeth Taylor. These gorgeous women were referred to as "Bombshells", so the name, as well as the salon's decor, is inspired by those icons of beauty. How do you like having a business in downtown Plymouth? After doing work as a stylist in the area for over 20 years, I knew it was the perfect location for my business. I love Plymouth - it's a true small town community. I know my neighbors, and literally gab over the fence with them. Everyone has a smile and a wave for each other - I am so content to be a part of this lovely city. What is the primary reason a new customer will come to your shop? New clients are usually looking for a change and have had someone they trusted enthusiastically recommend us. Referrals from happy clients are how my business has been built - it's difficult to put your self image into a stranger's hands and ask for something totally new and different - but if you have a friend tell you that I listen and will work with you on options and advice on how to do or maintain a new hairstyle, it makes the change a welcome adventure! And when these new customers leave satisfied, they tell more friends about Bombshell Hair. Do you have specialties? Please tell us about them. I am a hair color specialist, chemistry is my thing! During times when I am not behind the chair, I teach color chemistry to other stylists in their salons. Every head of hair is different - to achieve the same hair color on ten heads would require ten different formulas. I love that challenge, there is no boredom in my job! I also do glamour hair for proms, weddings, and special events - that's also great fun! What hair color trends are you seeing? Current color trends are now getting away from the bold chunks and ribbons of highlights into two or three colors finely sliced and blended into the overall color/cut design. It is a more natural and easily maintained look. Hollywood and the Fashion Runways are showing cool, icy blondes now that summer tans are giving skin some color. Brunettes are rich and deep with warm caramel undertones or highlights. Redheads are spicy and warm for summer. What do you think are the biggest influences in hair styles? What kind of looks do you recommend? Hollywood and TV stars, musicians, models - anyone that is repeatedly in the public eye. What I recommend is different for each person but it always involves emphasizing their best features, working with the texture they have, with an understanding of their lifestyle. Some people want to spend ten minutes on their hair and others will spend two hours, it's all got to be customized to the individual. After 25 years in the business, nothing seems that unusual. I've done rainbow mohawks, cut off 3 feet of hair from a single head, and cried with clients who requested that I shave their heads because they were undergoing chemotherapy. I have had a 300 pound, tattooed, biker come in to my Salon to have me cut-off his long ponytail - he donated it to Locks of Love, and he turned out to be a teddy bear! I work with Locks Of Love- a fantastic organization that makes wigs for kids up to 18 years old with permanent hair loss and limited financial means to afford a human hair prosthetic. I cut, process and send hair to Lakeland Florida where it is turned into a custom made wig. To make an appointment or to learn more, an interested donor can go to locksoflove.org or beth@bombshellhair.com. I also collect product donations for First Step in Plymouth, a shelter for Abused/At Risk Women and Children. We accept personal care products that have not been used at the salon - shampoo, soaps, deodorants, perfumes, etc. - and get them to the women at the Shelter. The women at the shelter leave domestic abuse situations, often with only the clothes on their backs and their children, and First Step provides them a place to be safe and the help they need to start over.